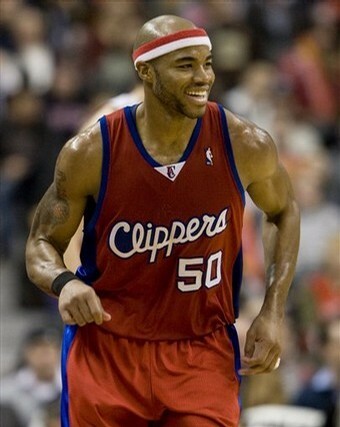 Even more amazing than Wes Unseld’s former squad giving Agent Zero ova-18 M per year after a year-n-half of knee trouble is the unbelievably low market value of one Corey Maggette. While rumors have most upper echelon playoff squads offering their mid-level exception ($5.5 M to $6.0 M), I believe we’ll see the 76ers throw 7-8 million if they don’t land Josh Smith or Elton Brand…and possibly GST because their simply pissed-off at the Clippers. And in my opinion, replacing Willie Green w/ Corey in the East would provide the biggest playoff impact since Tim Donaghy was on the hardwood. Even though Bouncin’ Baron would look nice paired with Brand, in the loaded West the Clips are not even guaranteed a playoff spot. The Bulls backcourt & wings don't have the backside to bang! As for who I believe should be involved in the Blue Devil sweepstakes…you guessed it, none other than the CHICAGO BULLS! Now before you vomit at the thought of another G/F on the Bulls roster…just hear me out. GM Johnny Pax needs to stop over-valuing his own players and simply make the smartest basketball decision. 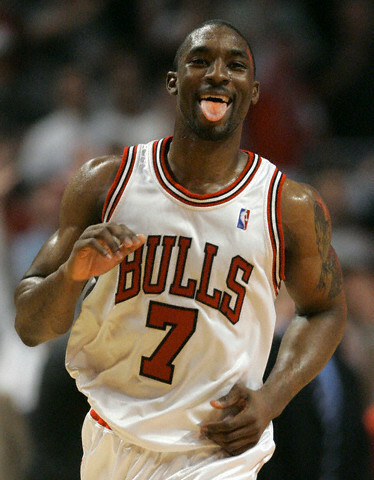 With Ben Gordon looking to either sign with the Bulls or be included in a sign-n-trade for approximately $12 M, why not just let him walk, sign Maggette for $4-5 M less, and provide Derrick Rose with an athletic wing to pair with the mid-range prowess of Deng. Even though the Melrose Park protégé will be entering his 10th season, he’s still only 28 and had his best season as a pro last year. Especially on a Bulls team lacking a go-to scorer with an ability to get to the charity stripe, besides Dwight Howard & King James, nobody in the NBA averaged more FTA’s per game than Coach K’s one year wonder. Throw-in a low-post game that matches any SG/SF in the league and the Bulls would fill another void in their offensive repertoire. I'd be laughing too if someone was gonna pay me an 8-figure a year salary when I can't play defense or dribble! As for how this affects their current glut of guards/wings…who frickin’ cares! No matter how sweet Gordon’s stroke is, he can’t defend either guard position and doesn’t have the ball-handling to justify an 8-digit salary for a player unda 6-3. Especially with Rose still a couple years from making an impact defensively, how the hell could you ever pair these two on the court? As for the rest, even though Larry Hughes is more unmovable than Kristie Alley, paired with Deng, Maggette, & Sefolosha, the Bulls would actually have some long-athletic wings to run with Rose. As for the Hinrich & Nocioni, Noce’s contract & hard-nosed approach make him extremely valuable to teams looking to toughen-up, while Hinrich’s bloated deal makes him more of a specialist for a team looking for his specific skill set. Maybe letting Kirk ease Rose into the full-time PG position is the best option early-on, and with Hinrich’s front-loaded contract getting smaller each season, maybe moving him in January makes the most sense & brings back the most value. As a result, Vinny Del Baio and his chaperones (Dell Harris, Bickerstaff, etc.) have a young athletic line-up to make Rose’s transition easier, and now have a true scorer (not a glorified Vinny “The Microwave” Johnson) to make Deng’s mid-range game even more unstoppable. While I’ll never forgive John Paxson for passing on B-Eazy (I honestly believe he took Rose because he was the safer selection), if he finally stops acting like a Dad who thinks his kids are twice as good as they really are, I’ll stop playing the “Bulls Undersized Backcourt Drinking Game”…you know, every time a Bulls guard is posted-up you have to pound a Mickey’s Grenade! With plenty of hurlers coming off the DL, Joel may be turning in his red & white starter's jersey for a bullpen jacket. Lincecum uses is legs as efficiently as our friend here! This page contains a single article from July 8, 2008 1:07 PM. The previous days article was Home of Greggy G's Daily MLB ATS. The next days article was CUBS, BREWERS, & MLB ATS ANALYSIS.